Last futzed with by maverick9611; September 3rd, 2018 at 03:27 AM. Nice! KTM had a demo day here and I got to try one of those. Have fun with it! it’s goin to the dragon! Ha, I got to ride one there a few years ago, and it was spectacular. Make sure you have good knee pucks. Man that's a sweet ride. I must say, I like my bar end mirrors. It's different than OEM but I love the wider view. First time I've been able to NOT see my elbows in the mirror. What's the power on that bike? 2 cyl? ^^ I think it's the same engine as the RC390, so it would be about 44hp, one cylinder. Did you buy the bike without having seen it and got it shipped to your house? Nice! I wish I could do that. 44 hp from a single is going to be a beast coming out of the turns. putting airbox on red sunday. i don’t like doing visual/virtual buys but the deal was solid. it ships via uship next week. i couldn’t get off from work to get it. I'd like to do a track day next year. Nice. I've got my eye on a '17 390 Duke myself but I'm afraid to move on it. I've heard of too many issues. 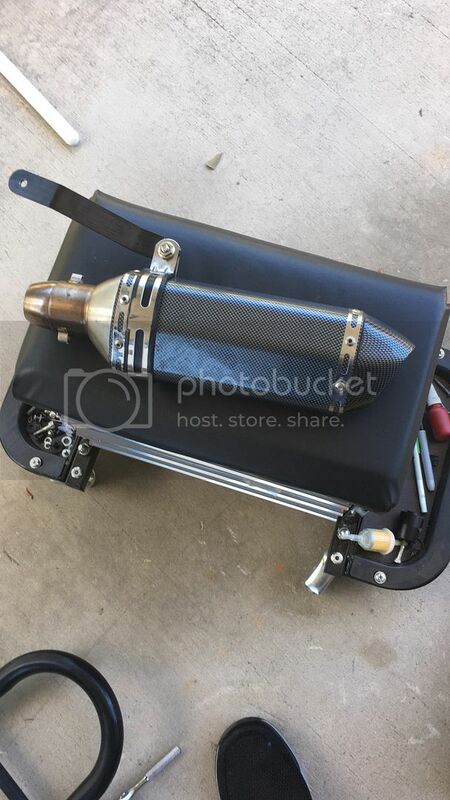 There's a couple guys on the Duke 390 forums on their 3rd engine, and a lot who are on their 2nd engine especially among the RC390 ultralight racer contingent. And then there's the stalling issue. But I'm still thinking about it because 44 hp from a bike this light and nimble would be a hoot. I might make the move, cross my fingers, hope, and deal with the hand I'm dealt. I'm sad to hear they're not so reliable. Both the RC and the Duke were fun. So load that thing up and come to Jennings this winter. You can rent whatever gear you dont have. I'd love to. I'm three hours north of Georgia / Florida border. I have a two price leather suit and boots. Need gloves. I'd definitely want to tag along with someone the first trip. What's it cost to run? I have the impression that @Zaph has a good feeling for lightweight nimble small bikes. Not everyone needs more horsepower to have more fun. 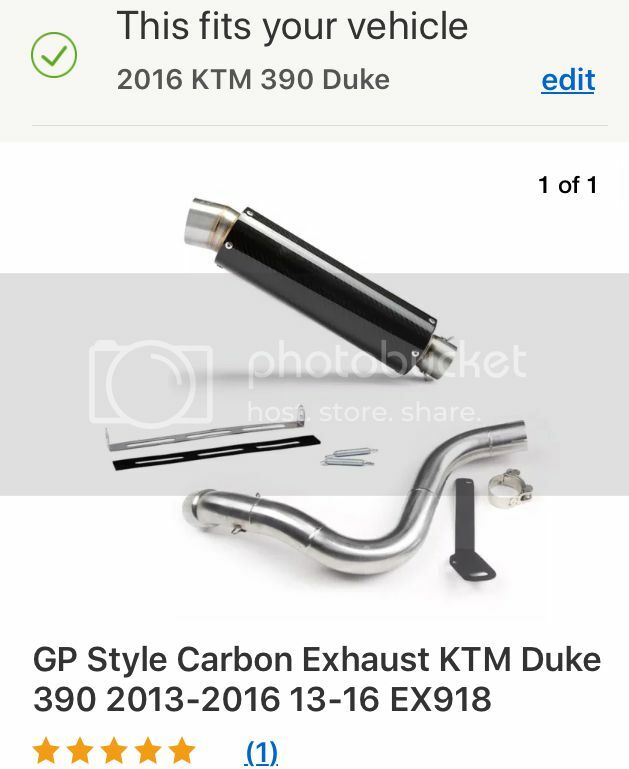 If that were the case I would still be on the tuned and built GSRX1000 I previously owned. Back then I was all about the "more, more, more" mindset also. Then when I finally had it all, well that wasn't what I wanted after all. 44 hp is just right for me. That and a great chassis is all I need really. I already owned a 690. Great bike. It had a lot of issues though and was pretty maintenance heavy. But it wasn't blowing engines like the 390 tends to do. How do you like the Ninja 400? 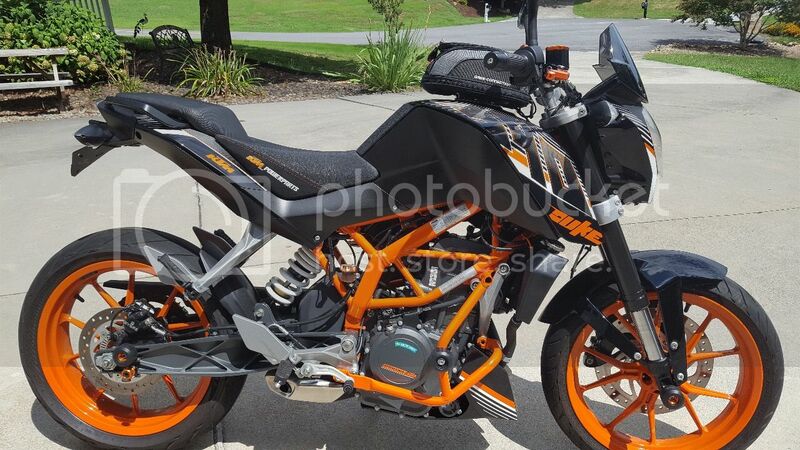 To me, it looks as good as the KTM 390, or almost, but so far it looks like a reliable engine. And about the same price range. I'm not finding more horsepower necessary, either. People always tell me I "need" a bigger bike, and I disagree. I'm quite content, thank you. Mo powah definitely isn't necessary. Whether it's even fun or not really depends on your real-world riding. My street bike is a GSX-R750 and it's terrific when I get a chance to really ride it. Power, braking and handling are all wonderful. 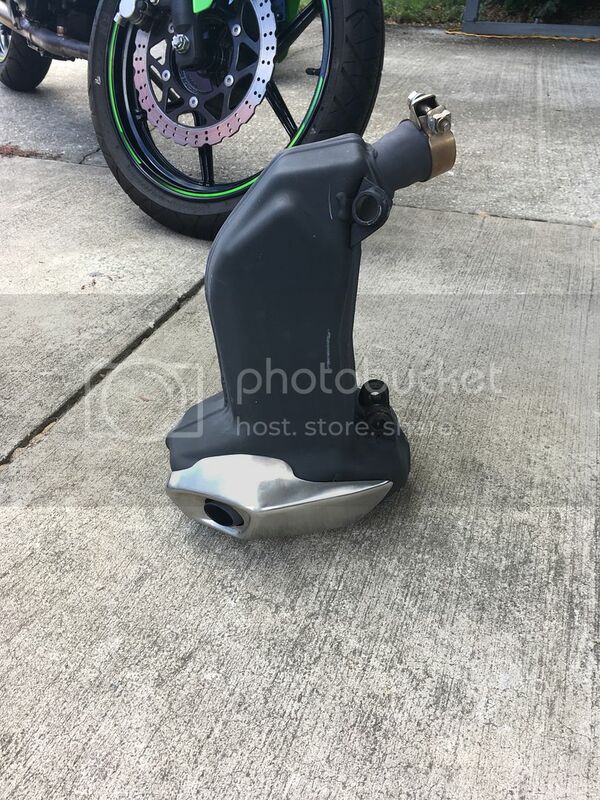 The problem is, I NEVER EVER EVER get to unleash it in the real world, and since starting to ride on the track I really notice how much I have to hold back. This awesome motorcycle is just plain pointless for the riding I actually do the vast majority of the time, which is commuting. I live 19 miles from work and it takes me 45 minutes to an hour. I could do it on a Vespa and get to work just as fast. I do maybe half a dozen recreational rides off the track a year, and even then I spend much of the time stuck behind a car. When I'm not, I hold back because of legal and safety concerns. I COULD ride a hell of a lot faster, but I don't have the opportunity. I can count on the fingers of one hand the moments I've really enjoyed what that bike can do this year. Really starting to think about trading it in and returning to the world of small bikes sooner rather than later. I'm torn because I really do like the bike itself. I just dislike the mismatch of environment and capability. 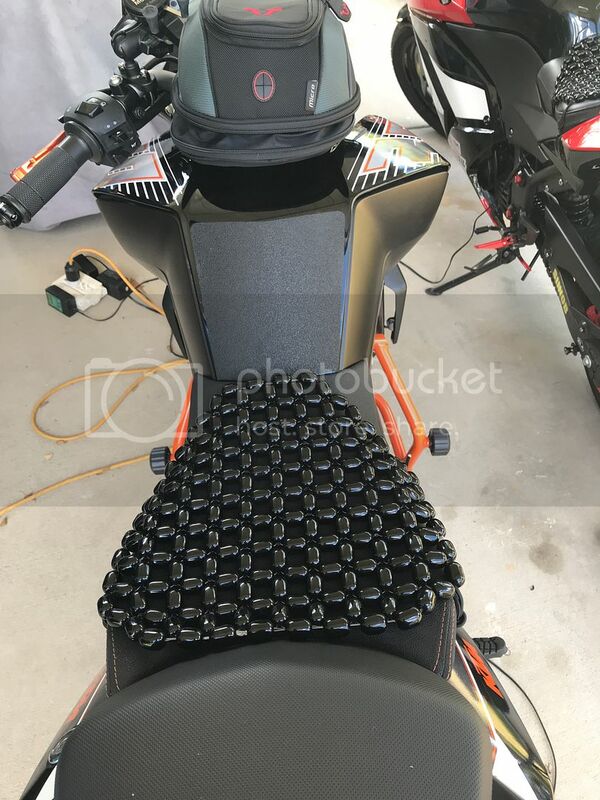 Would a Ninja400, RC390, R3 or something like that be as fun on weekend rides? Probably not, but it'd be close enough and it'd be MUCH better for the workaday riding that reflects real-world use. If I were limited to only one motorcycle, I'd stick with it... but I've got a dedicated track bike to meet the need for performance. That's part of why I'm so happy with the Ninjette - I get to use most of her capability. All the time. Even on weekend rides. Or commuting. I can often get to the head of the line at stoplights, and have full ability to accelerate as hard as I want to. I don't think I'd benefit from having more horsepower. I don't ride that fast. 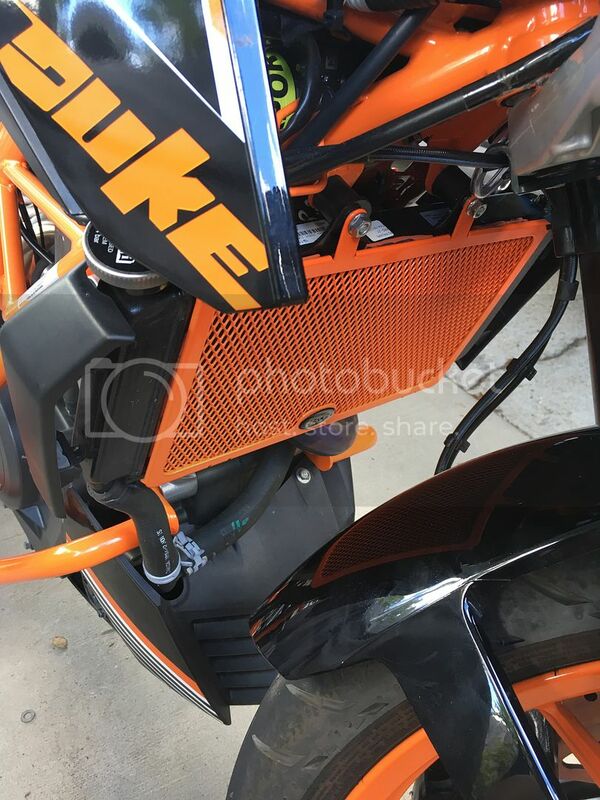 ninja's beadrider fits the duke. saving? around $75! Sweet! Yeah, I love the orange on that bike. Gorgeous. 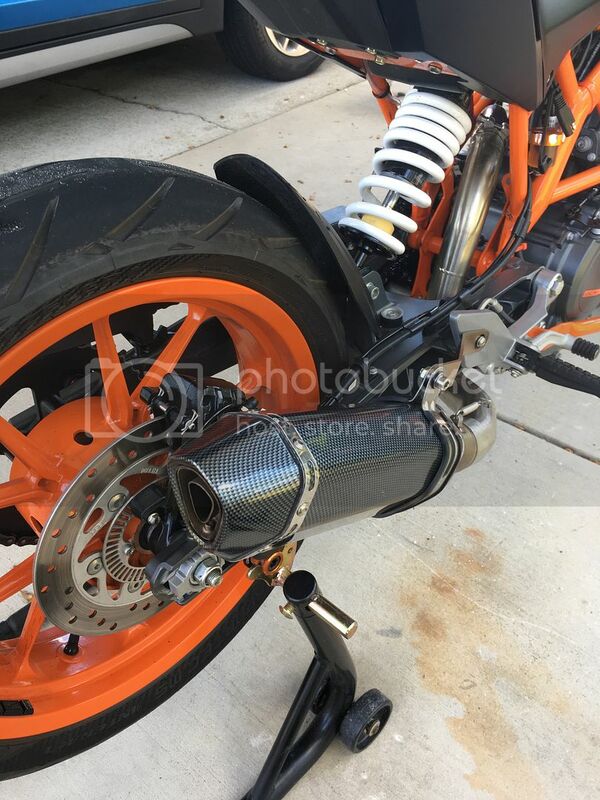 dan moto’s carbon fiber muffler was too freakin loud. el cheapo to the rescue! Wow and it literally looks like a boat anchor too. yup and twenty pounds too. 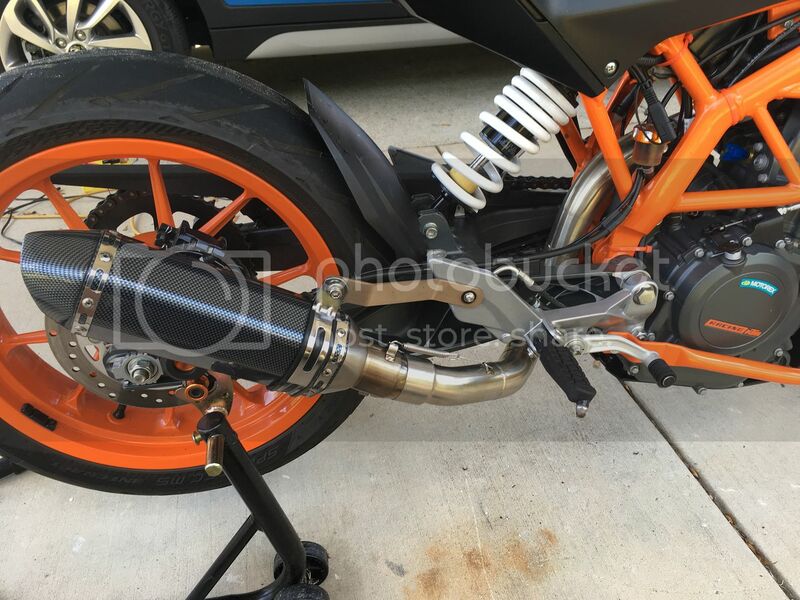 i tried the danmoto carbon fiber muffler but it was freakin race loud so i swapped in a elcheapo off of green bike. 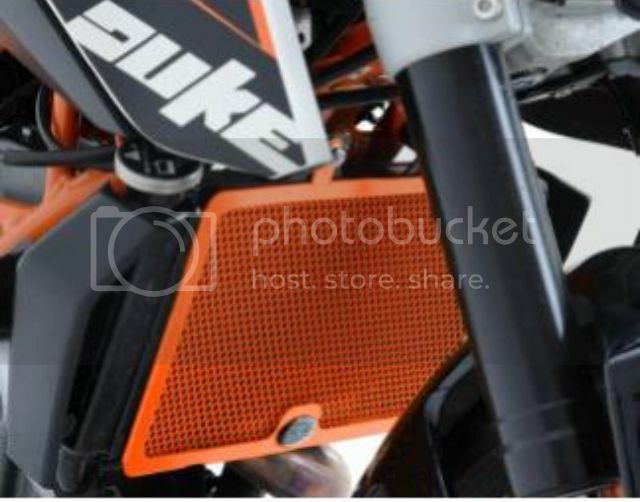 I really like the look of the Duke 390. It looks like such a good all-rounder. I'm with you on the power output of bikes, but this isn't surprising; we are after all posting on ninjette.org. I also like the 790 too. My friend loves his 1290, despite my protestations that it is an absurd machine he maintains it's a superb street bike and geared for the road. i agree. you don’t need gobs of power to have fun. now long distance rides, i’ll have to work on storage. Last futzed with by maverick9611; October 21st, 2018 at 06:07 PM. these bikes run notoriously hot. this should help.